"This is good rock music, the guitar work is really stunning in each song. 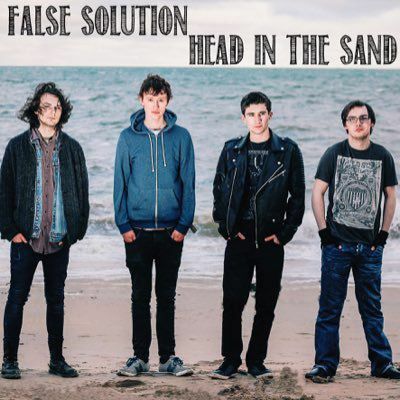 I believe if they were playing in my country at a live gig, the audience would be jumping up and down"
False Solution was formed in late 2015 by Jim, Michael, Jack and Eamonn, four friends from the Belfast scene. With tunes ready to go, they wasted no time in hitting the recording studio, releasing their debut EP 'Head in the Sand' in December 2015.